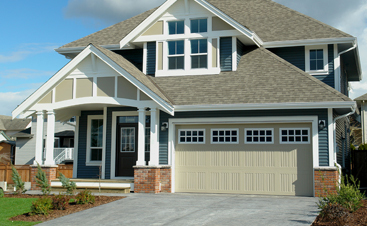 Choosing a type of paint for the outside of your house can be a tedious endeavor. You’ll have to take into account weather, budget, color, and application. Whether or not the type of paint you want comes in something the brand of paint you need whether it’s latex and so on is another monster to tackle. This is confusing and that’s why there are professionals who are excited to help you with these massive, but still achievable project. You’re going to need a great paint that possesses high-quality pigments, resins, and additives. It’s important that you start off with a smooth surface for this brand new paint to stick. Feel free to check out our pressure washing services. It’s important to remember that putting in this investment of time, money, and man-power now is going to protect you from putting it in later. Believe it or not, there are modern advances in paint technology, science still applies to more than just smartphones. This update has come in the form of all-acrylic formulas, which makes the step of finding a high-quality product relatively easy. This newly developed paint will ensure that you’ll be getting a paint that remains breathable, flexible, and colorfast far longer than vinyl resins or acrylic blends. It also adheres aggressively to pretty much any surface, which eliminates trying to figure out if you need a certain type of paint specific for a type of surface. To find this specific blend, you’ll be looking for the “100 percent acrylic latex” sign on any can of paint you’re shopping. That being said, there’s still categories and colors to pick from. You’ll find paints falling into the category of semi-gloss, flat, gloss, or eggshell (matte). You might have to look into grabbing a primer as well, depending on the surface. The idea of a primer is it will protect the material underneath from any adverse effects of painting. You can find both oil-based and water-based primers, you’ll find most professionals prefer oil-based. In the odd event that you need plaster or masonry painted you’ll have to look into latex primer, it’s usually diluted. There’s also the “first coat” to consider. It’s a coat of paint specially created with the intent of providing opacity beneath the other coats of paint. If you use a water-based paint for this stage be sure to use quite a few coats to build up that concise and strong color. Your finish coats are where you’ll find the real options come in, again you’ll have the choice of matte, flat, gloss and satin. The flat type of paint is generally used for wall and ceilings. It’s latex based and to find it in a longer lasting equivalent you’ll want to search for the formulas that contain vinyl. This is seen a lot on siding materials, it assists with preventing moisture leaking in. You’ll be able to find both rough and smooth textures for this kind of paint. Eggshell is more durable than flat and produces the appearance of having a fine sheen over the top. You’ll want to be wary that the sheen can vary between manufacturers, so just check the label. This is found less often among exterior paints but still exists. It’s one of the most easily washable paints which makes it a great choice for exterior walls and is generally considered a great alternative to semi-gloss. While gloss and satin are an option, be careful of how long it’ll last. While it offers a posh, pretty look it is prone to yellowing with age and is generally used for strictly interior wood finishes. If you use these for you exterior be sure to find it as a solvent-based paint to ensure its longevity. Now that you know what kinds of paint to expect, let’s work on figuring out what a paint consists of and how these things create different outcomes. Your average can of paint includes solvents, which are quick to evaporate liquids. These work to keep pigments and binders in molecular suspension. Binders are resins that combine to form the paint’s film after those previously mentioned solvents evaporate. Your can will consist of pigments, which are minerals and man-created colors to give the paint its hue and additives that control your dry time and making the liquid level. With all of this in mind, there’s also a painter lingo that you’ll have to be able to understand. You may hear the word “solids” which is referring to the leftover components of the paint after your solvents evaporate. This term will usually be associated with a ratio which will point to if the paints pigments and resins are of high quality. 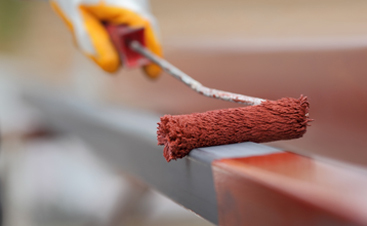 On labels, you may see the term “dry-film thickness” which is referring to how thick the paint will be when rolled out onto a surface, it’ll be measured in mils which are about one-quarter of the average thickness of a human hair. ”Coverage” is generally self-explanatory but you should note that it’s in direct relation to film thickness, coverage will go up as film thickness goes down. This will help you determine how much paint you actually need to buy to get through painting your entire house. You’ll also see volatile organic compounds which will be abbreviated as VOC, these are the solvents that will cause respiratory issues. The federal regulation is about 250 grams/ liter and 380/ liter in glossier coatings. 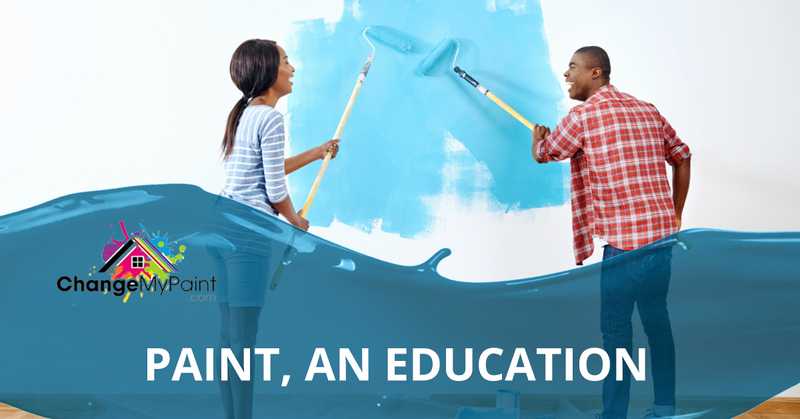 Equipped with this expansive education, you’re now capable of picking the perfect paint to cover the exterior of your house. Having trouble keeping track of all this information? No need to panic, hire the pros to handle the labor and giving you learned assistance with choosing the right kind of paint for your home’s climate and budget. We know it’s quite a bit information to take in at once, which is why we suggest delegating the chunk of this home improvement to the professionals. Carolina Painting and Pressure Cleaning Inc are fully prepared to assist you with all of your home painting needs in Lexington. Be sure to contact us here and we can get your home on the road to being the most dapper house on the street.